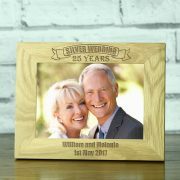 Personalised solid oak 5 x 7 laser engraved Silver Wedding photo frame. 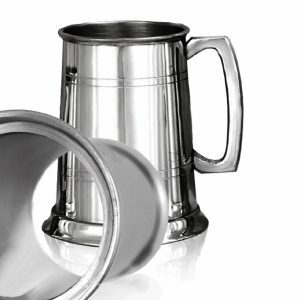 Also available in a whitewash finish for a lighter oak look. 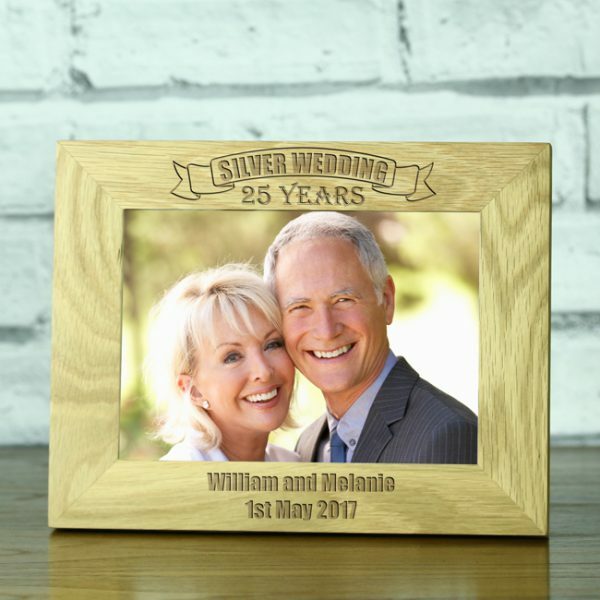 Our 25th Wedding Anniversary frame features a banner on the top of frame with ‘SILVER WEDDING’ engraved inside and ’25 YEARS’ engraved just below. 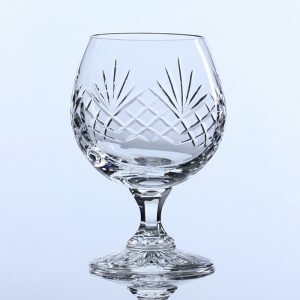 You can personalise the bottom of frame by having it engraved with the names and date of the couple celebrating such a wonderful milestone in their lives. 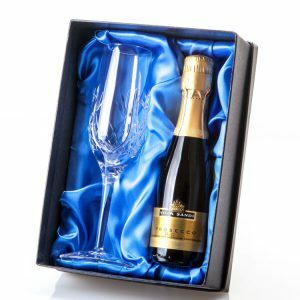 This is just an example of what you can have engraved but you may choose whatever personalised message that best fits the occasion. Our luxury solid oak photo frames are made with high quality workmanship, including wooden bridle joints and glue corners for added strength. The drop in backs are sprayed black with wood struts to display portrait or landscape. 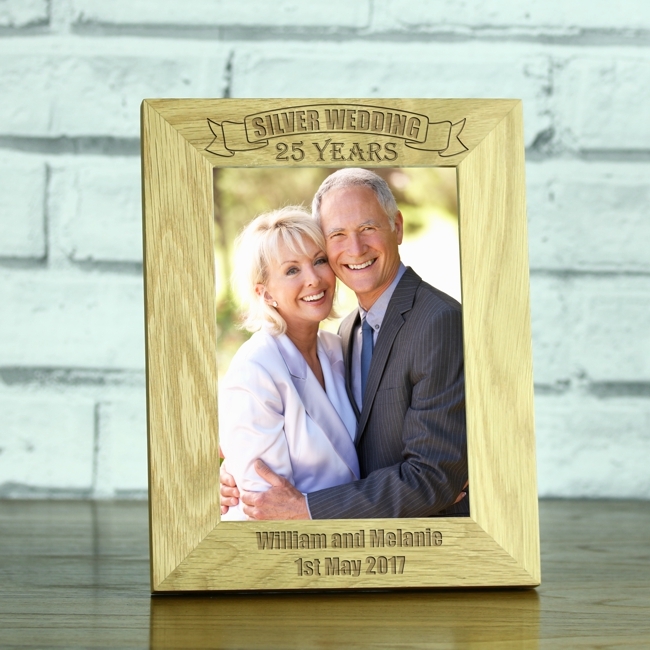 These beautiful frames have a 32mm profile giving it ample space to engrave your personal message. 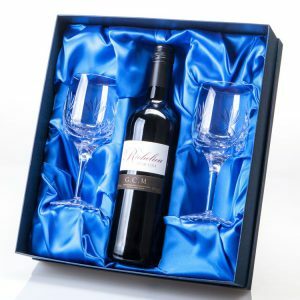 They can be displayed free standing or wall mounted and fits a 5″ x 7″ photo.